As I write this, the NFL and NBA are both trudging through excruciating lockout proceedings and Bud Selig is busy pretending that anyone really cares about what goes on during the MLB All-Star break. In other words, it's a dark time for sports fans everywhere and while some might use this barren sports schedule to re-connect with other parts of their life, I'll be using it as a time to look ahead to the upcoming college basketball season. We're still a few months away from meaningful college hoops, but as it usually does, mid-November will be here before you know it. Here at Send It In Jerome, we've already unveiled our admittedly way-too early Top 25 rankings for next season and I figured I would follow that up with 10 things that college basketball fans should be excited about, even if it's only July. There's no doubt that there are more players, teams, and stories that will make the 2011-12' season of college basketball unforgettable, but these 10 really stood out in my mind, so here goes. 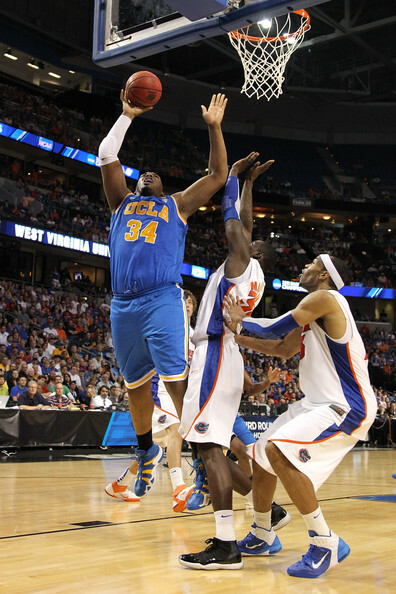 Basketball fans were bombarded with the idea that the 2011 NBA Draft class was one of the weakest in recent memory and this relative lack of talent certainly wasn't aided by the fact that so many top college players opted to come back for another season. As the saying goes, the NBA's loss is college basketball's gain, and with players like Jared Sullinger, Perry Jones, Thomas Robinson, Harrison Barnes, John Henson, and Terrence Jones all deciding to return to school, we're looking at one of the richest talent pools college basketball has seen in the last few seasons. It will be a nice change of pace to see a player who could have been a lottery pick wearing a collegiate jersey for another season and it's going to be exciting to watch these guys as they continue to mature. How many 20-20 games will Jared Sullinger post as a sophomore? Will Harrison Barnes continue to build off the momentum he started to gain at the end of last season? Will Scott Drew figure out how to best utilize Perry Jones' amazing skill set? How many 10 block games will John Henson record? 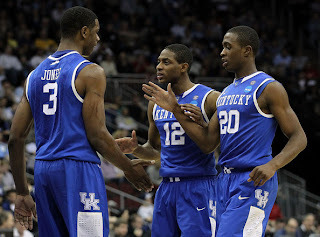 How will Terrence Jones mesh with an amazing incoming freshman class at Kentucky? Will Thomas Robinson be able to make the KU faithful forget all about the Morris twins? These are a few of the amazing things college basketball fans will be treated to this season and just an example of what we've missed out on as more and more kids have decided to declare early for the NBA. Luckily, we won't be missing out on them this season. Duke fans certainly won't be very excited to see how good North Carolina can be with all of their returning stars, but after a 2010-11' season where no team truly established their dominance, it will add another dimension to college basketball to have a team like UNC around next season. John Henson, Harrison Barnes, Tyler Zeller, Kendall Marshall, and Dexter Strickland will all be returning from a North Carolina roster which reached the Elite 8 last season, and this team figures to be a year better and more experienced. The inside combination of Zeller and Henson might be the best in the nation and Harrison Barnes has shown the potential to be an unstoppable perimeter player when he's on his game. Barnes certainly struggled with consistency last year but that shouldn't be as much of an issue now that he's a sophomore and now that Kendall Marshall will be the team's full-time point guard for the entire season. Unlike the NBA, where the best team generally prevails, college basketball is full of upsets and last year's NCAA Tournament was a perfect example of just how unpredictable the sport can be. 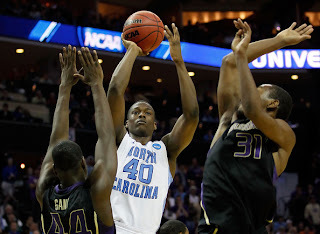 Considering the fact that the only player the Tar Heels will be without next season is Justin Knox, they have to be the odds on favorite to win the championship, but that doesn't mean that they're just going to be handed the trophy. Between now and next April, Roy Williams' squad will face a number of challenges and if they're able to navigate the ACC and emerge victorious from six high-pressure tournament games, it will be an extremely entertaining run. After a full season of everyone complaining about how there were no dominant teams in college basketball, the North Carolina Tar Heels figure to change that this season and it should be pretty incredible to watch. 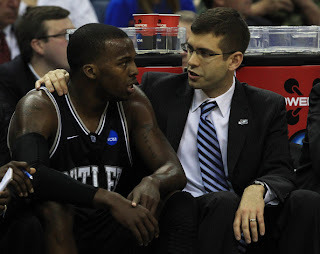 Butler's two year run, in which they've managed to go from a basically irrelevant Horizon League team to back-to-back championship game runner-up, is as impressive a feat as we've seen in college basketball for some time. Brad Stevens has been given plenty of credit as the brains behind the team's recent postseason success, and rightfully so, but he's also had some great players taking the court for him. Gordon Hayward, Matt Howard, and Shelvin Mack were the team's three best players and the driving force behind the Bulldogs improbable tournament runs over the last two years. But after Hayward left for the NBA last year and with both Howard (graduation) and Mack (NBA) leaving the team this year, it would appear that Butler's magic has just about run out. To make matters even worse, two very solid back court contributors, Shawn Vanzant and Zach Hahn, were also lost to graduation after last season. If there's one thing college basketball fans know by now, it's not to count out Stevens and his coaching wizardry but even he needed to rely on the brilliance of his star players once in a while. Of course, Butler's cupboard isn't completely bare and they will have Ronald Nored, Andrew Smith, and Khyle Marshall back next season, but they're a far cry from the likes of Hayward, Mack, and Howard. 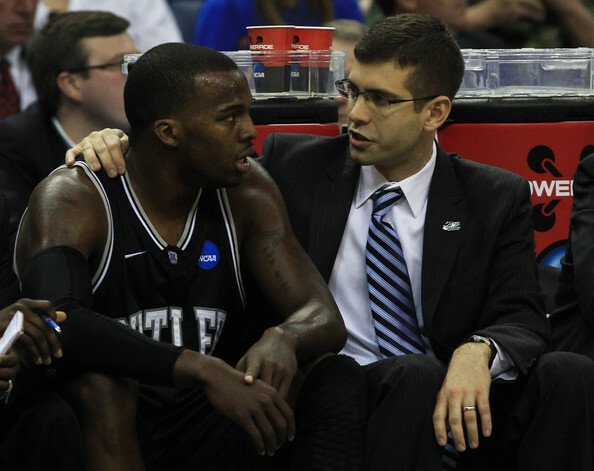 It's been amazing to watch what Brad Stevens has done with this Butler program over the last two years and even though they're going to be out-manned after the recent departures of Mack and Howard, it's will be exciting to see what he can come up with to keep this team relevant at the national level. John Calipari is perhaps the most controversial figure in today's college basketball landscape, but no one can deny his prowess as a recruiter. Over the last few seasons, Calipari has consistently lured some of the best freshmen in the country to play for him, and these talented youngsters have made his teams incredibly competitive. This upcoming season won't be any different as Kentucky will welcome the nation's number one freshman class, having secured commitments from four highly decorated players. Anthony Davis (ranked #1 by ESPN), Michael Gilchrist (ranked #3 by ESPN), Marquis Teague (ranked #7 by ESPN), and Kyle Wiltjer (ranked #18 by ESPN) should all be able to make a fairly immediate impact for the Wildcats, who will be looking to build off last season's trip to the Final Four and finally win a National Championship for Coach Cal. 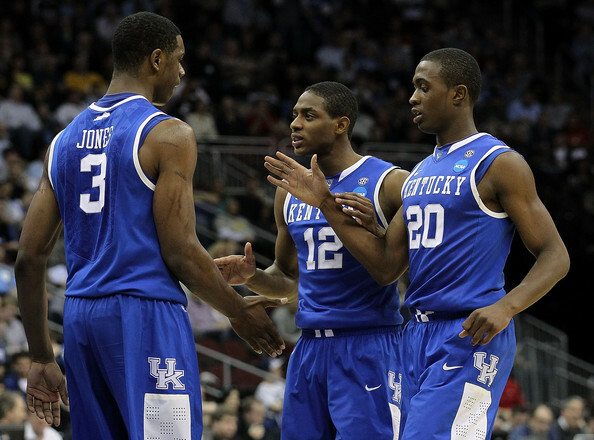 But because Terrence Jones and Doron Lamb have decided to stay put at Kentucky for their sophomore seasons, it will be very interesting to see how Calipari will mesh the teams two returning stars with a freshmen class that will most likely feature three lottery picks in the 2012 NBA Draft. This has never been much of an issue for Coach Cal during his time at Kentucky as almost all of his star players have jumped to the NBA while he's continued to reload through recruiting. But this season will be different, and the fact that Davis and Gilchrist both play similar positions to Terrence Jones should make life in Lexington very interesting as the team tries to balance touches and minutes between quite a few extremely gifted players. However things shake out, Kentucky is going to be very good this season and their roster could easily feature four lottery picks, a fact that could allow them to challenge North Carolina for a National Title. That is, if they can figure out a way to share the ball and the court together. For the last two years I've been telling anyone who cares about college basketball that Vanderbilt is a really talented team. Where has all this talent gotten them? Two disappointing first round exits in the NCAA Tournament at the hands of Murray State and Richmond. 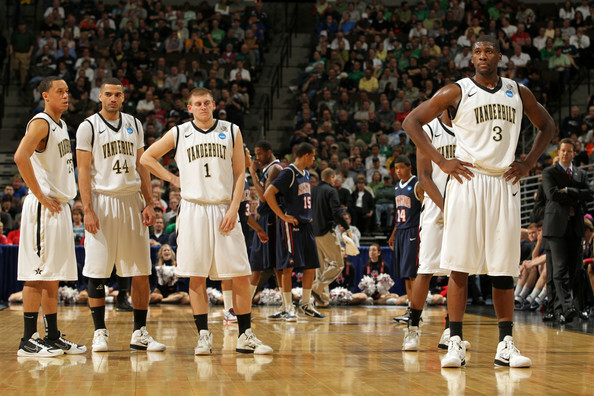 While the Commodores recent tournament performances have been less than stellar, the announcement that Jeff Taylor, John Jenkins, and Festus Ezeli were all coming back to school gave this program a chance to make up for their recent postseason failures. All three players bring something different to the table and whether it's Jenkins deadly shooting touch, Taylor's athleticism on the wing, or Ezeli's ability to dominate in the post, Vandy should be able to compete with pretty much anyone in the nation next season. In addition to their impressive trio of NBA caliber players, the Commodores also return Brad Tinsley, Lance Goulbourne, and Steve Tchiengang, who will give this team much needed depth and toughness. This team is talented, experienced, and motivated, a combination which could have them playing deep into the tournament. They just have to put all of the pieces together. One of the most heartbreaking stories in college basketball over the last two years has been the continued struggles of Purdue's Robbie Hummel. After tearing his ACL in late February of his junior season, an unfortunate turn of events which most likely cost the Boilermakers a shot at a deep tournament run, the stage was set for Hummel to return for his senior season and team with fellow seniors JaJuan Johnson and E'Twaun Moore to make Purdue a legitimate threat to win a national championship. As fate would have it, Hummel tore the same ACL during a practice before the 2010-11' season even started and the 6'8'' Indiana native was once again forced to sit out while Johnson and Moore did their best to lead Purdue without him. Since then, Hummel has been rehabbing his knee with the utmost care and intensity to make sure that he will finally get to play his senior season for Purdue, even if he won't have Johnson or Moore by his side. Even if you don't like Purdue or care much for college basketball, Hummel's return from two consecutive ACL surgeries is a story that pretty much anyone can cheer for. Considering they're going to be losing the Big Ten Player Of The Year in Johnson and a first-team All-Big Ten selection in Moore, it would be hard to envision the Boilermakers being better this coming season than they were last year. 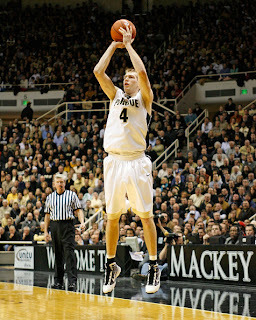 But regardless of how Purdue performs in 2011-12', it will certainly be great to see Robbie Hummel on the court again, even if he won't be playing alongside Johnson and Moore. When it comes to Austin Rivers, college basketball fans pretty much have the perfect storm brewing as the 2011-12' season kicks off. It's one thing when you have a freshman as talented as Rivers, who figures to burst onto the scene and dazzle right out of the gate, but it's certainly another when he's the son of a former NBA player (who also happens to be coaching the Celtics right now) who is also going to be playing for Duke, where he'll be trying to replace the likes of Nolan Smith and Kyle Singler on one of America's most recognizable college teams. It seems like college basketball fans have been hearing about Rivers for years and although some of this attention was surely due to the fact that his father is Doc Rivers and his older brother, Jeremiah, played for Georgetown before transferring to Indiana a few seasons ago, the main reason why we've been hearing about Austin is because he's the real deal. Call him Doc's son, Jeremiah's brother, or just Austin, but whatever you're going to call him, the kid was ranked second by ESPN and first by Rivals in the 2011 freshman class and this explosive scoring threat should make Duke an extremely entertaining team to watch next season. Sure, Austin Rivers is going to have quite a task on his hands trying to replace the likes of Singler and Smith, but it should be one hell of a ride to watch. 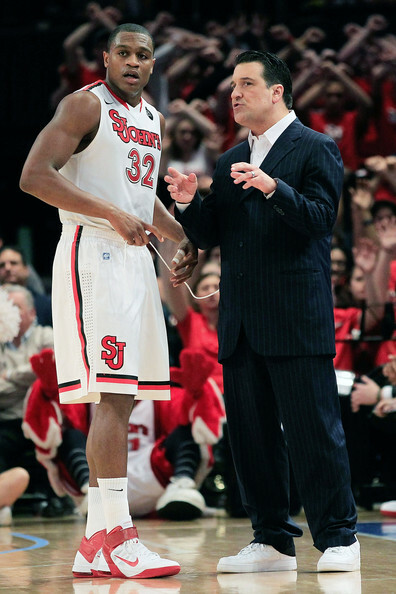 In the decade that preceded Steve Lavin's arrival in Queens, the St. John's Red Storm had essentially been a shell of the successful program that Big East fans had come to know. Expectations weren't exactly sky high for the California native's first season as the Johnnie's head coach, but the 22-12 record they posted while earning their first NCAA Tournament berth since 2002, definitely turned plenty of heads. What might have been even more impressive than the team's performance on the court was the job that Lavin and his staff did on the recruiting trail. Knowing that the team was losing nine players to graduation, including four of five starters, there was a definite sense of urgency that surrounded Lavin's first recruiting effort. After all was said and done, St. John's managed to secure a nine player class which ranked third in the nation and one which figures to fill some major needs. With players like Dom Pointer (ranked #24 by ESPN), Jakarr Sampson (ranked #31 by ESPN), Maurice Harkless (ranked #38 by ESPN), and D'Angelo Harrison (ranked #63 by ESPN) leading the way, the future certainly looks bright in New York City even considering all of the talent this program lost to graduation. The job that Steve Lavin did in just his first season as St. John's head coach certainly raised expectations and put the Red Storm back on the map. His encore performance, aided by one of the best incoming freshman classes in the nation, should be just as entertaining. 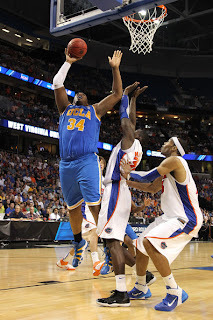 Who said there were no true centers in the collegiate game today? All four of these guys are huge and have the potential to really make a name for themselves around the basket next season. Whether it's the scale tipping post play of both Reggie Johnson and Joshua Smith (although, he's reportedly lost 40 pounds during the off season), or the sheer size of Festus Ezeli and Robert Sacre, all four players figure to create some serious problems for opposing front courts. Ezeli had a breakout year for Vanderbilt as a junior where he became a game changing shot blocker and extremely efficient scorer in just his first year as a starter. The fact that he will be playing alongside Jeff Taylor and John Jenkins on a loaded Vanderbilt squad should only increase his production during his senior season. Joshua Smith really started to come on towards the end of his freshman campaign and now that he's reportedly in better shape, his impact for UCLA could be nearly limitless. Unfortunately, Reggie Johnson recently underwent surgery to repair a torn meniscus but he's expected to be back by the time conference play starts up, which is bad news for the rest of the ACC and good news for Miami. Johnson's 300-pound frame allowed him to carve out plenty of space on the block last season and after flirting with the NBA, he decided to return for his junior season, much to the chagrin of every other ACC center. Finally, Sacre is a true seven-footer who should be one of Gonzaga's biggest weapons as they try to capture another WCC title. Jeremy Lamb was a crucial player on Connecticut's National Championship team last season and, like most freshmen, it was clear to see that he improved tremendously from where he was at the beginning of the season. Standing 6'5'' with great athleticism and a freakish wingspan somewhere in the vicinity of 7'0'', Lamb has the ability to impact a game in many different ways and he should be ready to play a much bigger role on UConn now that Kemba Walker has moved on to the NBA. As if his role as Walker's right hand man during UConn's title run wasn't impressive enough, Lamb's recent play at the FIBA U19 World Championships showed how dangerous he can be and that his game still has plenty of room to grow. We already know that he's a competent three-point shooter, a terror in the open court, and a very good defender, but it seems like Lamb's potential to be a true star at the collegiate level is on the brink of being realized. Considering his skill set, physical tools, and how far his game has come in the last year, Jeremy Lamb's continued maturation next season will be something worth getting excited about.